Are you still waiting for your invitation to Hogwarts? Perhaps Santa will deliver it this year instead of an owl. 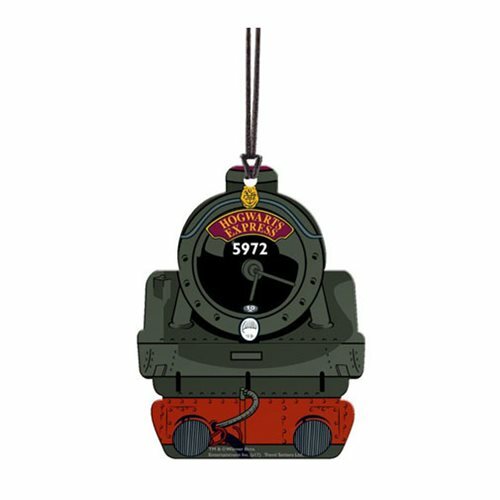 Hang this 3 1/2-inch tall x 2-inch wide Harry Potter Hogwarts Express Hanging Acrylic Print on your tree to remind him. Shaped and appearing like the Hogwarts Express train, it looks great year-round anywhere in your home, especially on windows where its light-catching properties allow natural light to illuminate the permanently fused acrylic image. Hanging string included.